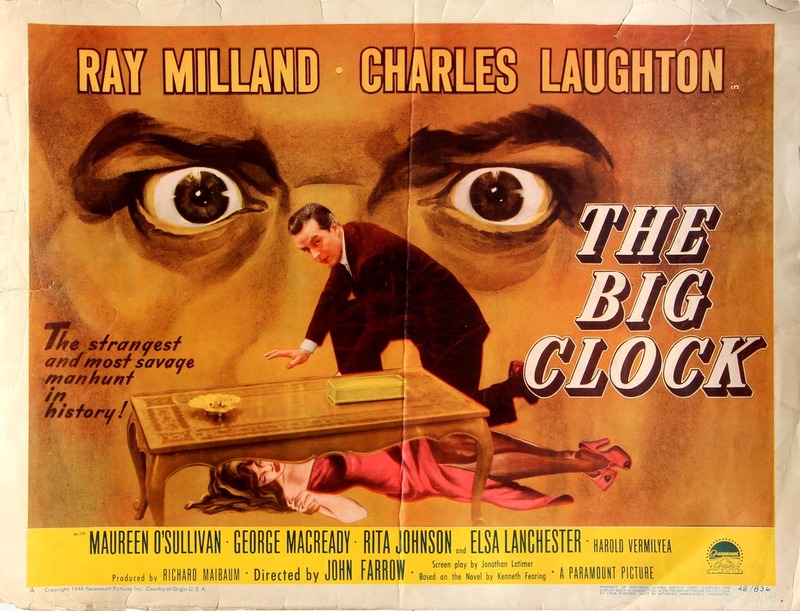 The Big Clock is an amazing noir story with all the best features of noir. We have a femme fatale, we have a protagonist in a situation way over his head and has to out smart the enemy to get out of danger, we have adultery, murder, a rich and powerful antagonist and a claustrophobic setting that even as a viewer we want to get out of. The film is based on a book by the same name written by Kenneth Fearing. There have been two remakes of this film, or two more movies based on this book, depending on how you look at it. Police Python 357 is a film made in 1976, I have not seen this one. The other one is No Way Out starring Kevin Costner and Sean Young, I’ve seen this movie but it was so many years ago I would like to re-watch it before I make any comments about it. John Farrow directed this, he had a storied career as a director with over 49 credits to his name. 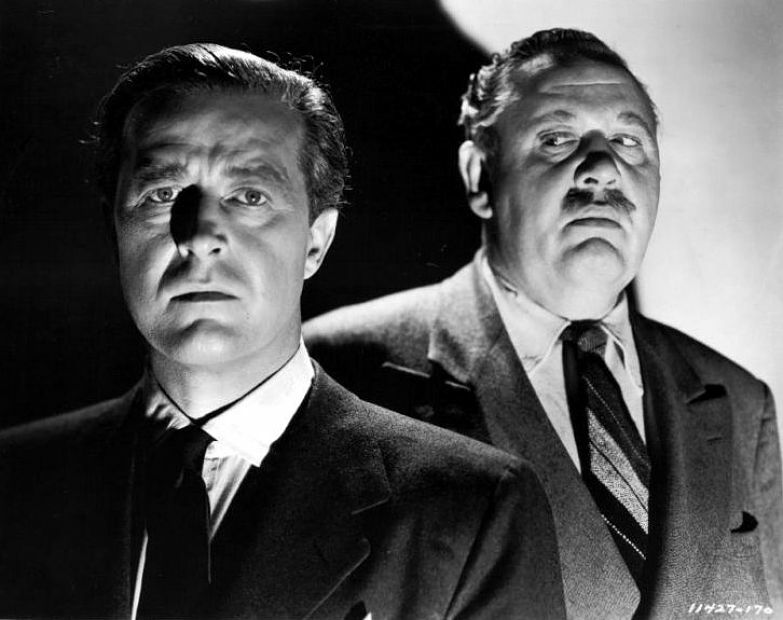 Ray Milland plays our hero and was in many film noir movies as well as westerns and horror films. We will look at more if his films in the future. He is amazing in this film as our everyday man who hates his job, but is a very successful author and journalist. He decides he is going to quit his job for two reasons, he is married and wants to go on his honeymoon and his boss has pushed him to his limit. The boss is played by the great Charles Laughton and our hero’s wife is played by Maureen O’Sullivan. He goes out for a drink to celebrate his new freedom and runs into a beautiful blonde played by Rita Johnson. She makes him miss his meeting time with his wife, and they make the best of it by having a grand old-time. They go back to her place and things are implied. We soon find out our mystery blonde is dead. His old boss and the magazine he used to write for wants him back for one last assignment, find the man who was with the blonde last night!?!?! This has an amazing set up and the story does not disappoint. As the trap tightens around our hero the tension grows. Harry Morgan, that went on to fame many years later on T.V.’s Dragnet and M*A*S*H, plays an interesting role as the silent henchman. We also see the Bride of Frankenstein herself, Elsa Lanchester as an eccentric artist. Favorite tidbit: Kenneth Fearing wrote this book as revenge on publisher Henry Luce and his “Time” magazine, where Fearing worked for many years for financial reasons. The character Earl Janoth played by Laughton is based on Luce. This is an amazing movie and should be watched by any noir fan or classic film fan in general. 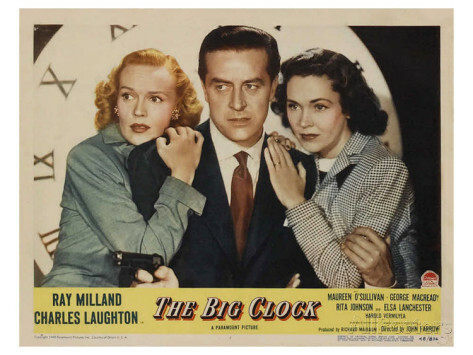 A Closer Look at Ann Sheridan and Lizabeth Scott: Detectives and Dames: A Flicker Alley Noir Blog-a-Thon!